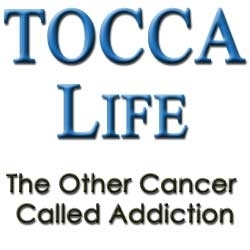 TOCCA Life Coaching, Inc., a Florida corporation (“TOCCA Life”), announced that it has completed a share exchange with T-Bay Holdings, Inc., a Nevada corporation (the “Company”). Pursuant to the share exchange agreement, TOCCA Life and the shareholders of TOCCA Life survived as a wholly-owned subsidiary of the Company, with the officers and directors of TOCCA Life becoming the officers and directors of the Company. Lake Worth, FL, February 19, 2015 --(PR.com)-- Tyler Cornell Creates More Accountability for the Sober Living Industry by forming the first publicly traded sober Living Company in History, TOCCA Life Holdings, Inc. (OTC: TLIF). TOCCA Life Coaching, Inc., a Florida corporation (“TOCCA Life”), announced that it has completed a share exchange with T-Bay Holdings, Inc., a Nevada corporation (the “Company”). Pursuant to that certain share exchange agreement dated January 1, 2015 by and among the Company, TOCCA Life and the shareholders of TOCCA Life (the “Share Exchange Agreement” or “Agreement”), TOCCA Life survived as a wholly-owned subsidiary of the Company, with the officers and directors of TOCCA Life becoming the officers and directors of the Company. The Agreement was originally executed on December 4, 2014 and was dated effective as of January 1, 2015 and contains certain conditions to closing that were met in mid-January, 2015. In addition to the change of control, the Agreement, among other customary terms and conditions, included the effectuation of a 1-500 reverse split, a name and symbol change and the amendment and restatement of the Company’s articles of incorporation. These items were approved by the Financial Industry Regulatory Authority (“FINRA”) on January 9, 2015 and went into effect on January 12, 2015. Under the terms of the Agreement, the shareholders of TOCCA Life received and 51,663,442 (post split) shares of the Company’s common stock in exchange for 100% of the issued and outstanding common stock of TOCCA Life. Following the approval from FINRA, the Company’s name was changed to TOCCA Life Holdings, Inc. and the Company now trades on the OTC market under the symbol TLIF. The statements made herein contain forward-looking statements that are based on management’s current expectations and assumptions and are subject to risks and uncertainties. If such risks or uncertainties materialize or such assumptions prove incorrect, our business, operating results, financial condition and stock price could be materially negatively affected. In some cases, forward-looking statements can be identified by terminology including “goal,” “believes” “objective,” “can,” “may,” “will,” or the negative of these terms or other comparable terminology. We operate in a rapidly-changing environment and new risks emerge from time to time. As a result, it is not possible for our management to predict all risks, nor can we assess the impact of all factors on our business or the extent to which any factor, or combination of factors, may cause actual results to differ materially from those contained in any forward-looking statements the Company may make. TOCCA Life Coaching, Inc., a Florida corporation ("TOCCA Life"), announced that it has completed a share exchange with T-Bay Holdings, Inc., a Nevada corporation (the "Company"). Click here to view the list of recent Press Releases from TOCCA Life Holdings, Inc.